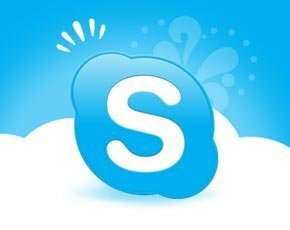 Skype has entered a partnership with wireless provider Wicoms to offer public Wi-Fi networks to businesses. The offering is aimed at retail outlets and owners of public spaces, like hotels or cafes, who can sign up to the service and then provide free Wi-Fi connectivity to their customers. “We’re helping brick and mortar retailers effectively compete with online retailers,” said Owen Geddes, managing director at Wicoms. All that will be needed from customers to use the Wi-Fi will be a Skype ID or an email address, while the businesses will need an existing broadband connection to plug the Skype Wi-Fi box into. In addition to the necessary infrastructure, Wicoms will also provide analytics tools to enable the businesses deploying the network to examine data from their customers, such as how often they log in and how long for. The service will be available to businesses across the UK and Ireland, and businesses who sign up now will get a free router and Wi-Fi hotspot capabilities throughout October for free. After that, businesses can choose from a monthly, rolling contract for £9.99 plus VAT, a six-month stint for £49 plus VAT or a full year for £95 plus VAT.